Vin Diesel Has Officially Announced the Next Riddick Movie! 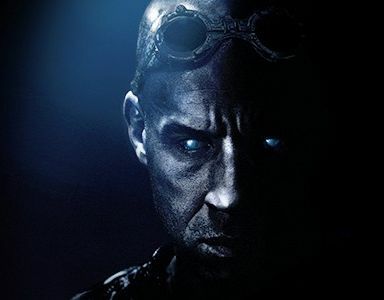 Vin Diesel Announces Next Riddick Sequel and a TV Spin-Off! Last year, Vin Diesel revealed that there was already interest about another chapter in the fan-favorite “Riddick” franchise, but since then there has been little talk of when or what the next chronicle would be. Now, Diesel has taken to Instagram to announce not only the next film but also a spin-off television series. “DT” of course is filmmaker David Twohy, who has written and directed all three of the “Riddick” films – 2000’s Pitch Black, 2004’s The Chronicles of Riddick, and 2013’s Riddick. Twohy has also written the two animated Riddick shorts, The Chronicles of Riddick: Dark Fury and Riddick: Blindsided. Despite only moderate success at the box office, the “Riddick” series has developed a bit of a cult following since its debut. The three films in the “Riddick” series have grossed a combined total of $267 million at the worldwide box office. The sci-fi franchise has also featured other noted fan favorites in supporting roles, including Keith David (The Thing, “Community), Karl Urban (Star Trek, Dredd), Katee Sackhoff (“Battlestar Galactica”), and Dave Bautista (Guardians of the Galaxy, SPECTRE).